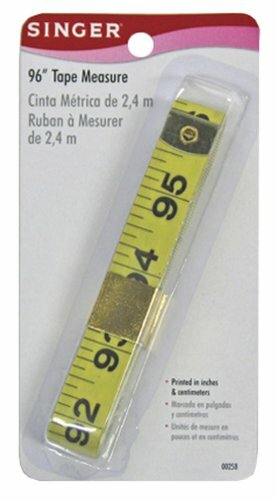 Singer 96-inch Extra Long Vinyl Tape Measure is accurately printed in both inches and centimeters. Esta cinta métrica flexible es perfecto para medir superficies curvas o planas. Metal ends keep the tape from fraying.